If you need to certify a document destined for use in Guatemala, One Day Apostille is your best choice to expedite the process of obtaining Guatemala Apostille Services. One Day Apostille guarantees the fastest turnaround times with the best prices. Examples: FBI, USPTO, FDA, USDA, IRS, USCIS, SSA, DHS. Corporate Documents must be signed and notarized by a local notary public. 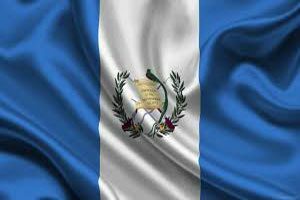 On 19 January 2017, the Republic of Guatemala signed the instrument of accession to the Hague Convention, Following the typical procedural advances, the Convention will go into compelling for Guatemala on 18 September 2017. All US official documents destined for use in Guatemala require an Apostille Stamp from the SOS” Secretary of State” or from the US Department of State, depending on the document type. Wait for the reply from our customer support. Note: All certifications must include a legible signature of the official’s name, title, and seal of the agency. A State corporate document can either be:(1) an official certified copy issued by State official agencies such as Business division. Or (2) a company issued document issued by a private entity such as corporations. A company issued document must be properly notarized by a local notary public in the same State where the company is located. Our prices does not include the shipping fees. clients must enclose a prepaid airway bill to return your documents, otherwise, it will be returned via United State Postal Services. If you need to return your document to an international address, please include an international airway bill with your request. We accept all major credit cards payments, company check, and money order Make your payment payable to“One Day Apostille” .